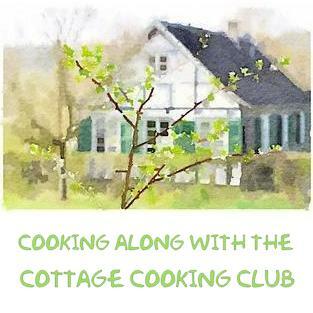 Today is the day of the grand unveiling of the 2015 great food blogger cookie swap. An event that was organized by Julie and Lindsay to help raise money for the national nonprofit Cookies for Kids Cancer. This foundation is committed to raising funds for research and new and improved treatments for pediatric cancer, the #1 disease killer of children in the U.S. The cookie swap works like this; each person that signs up receives the names of 3 blogger's and their address. We are to ship each person 1 dozen of cookies by a certain date secret Santa style so no one knows who or what type of cookies they will receive. Sounds fun right? It was great, and anyone that knows me understands how much I love receiving packages in the mail. Plus it is for a good cause, a win, win situation in my book. Pizzelles from Meggan of Culinary Hill from California. Sorry Meggan my husband got to them before I could take pictures and this is all that was left. The hardest part was selecting which cookie to bake as there are so many different kinds to choose from. Surviving shipping was also a big factor in my decision. My first pick was Peanut Butter Blossoms which I did end up baking but after watching them melt right before my eyes I decided to bake raspberry Linzer cookies which I did ship. This was my first time participating and certainly will not be my last. This was for a great cause and a wonderful way to meet other food bloggers. This recipe has been slightly adapted from the King Arthur Flour Website. Combine butter, sugar and zest in mixer and beat until light and fluffy, about 3 minutes. Add egg yolks and vanilla, mix until well combined. In a separate bowl; whisk together the flour, almond flour, and salt. Add to the sugar mixture. Mix until just combined. Divide dough into fourths, wrap separately in plastic wrap and refrigerate about 1 hour. On a lightly floured surface, roll out dough to ¼ inch thick. Cut out cookies using your choice of cookie cutter. Transfer to baking sheet lined with parchment or siltpat. Use as much of the scrap dough as possible. Place rolled out cookies back in refrigerator for another 30 minutes before baking. Remove next disc from refrigerator, roll out dough to ¼ inch thick. Cut out cookies, but this time use your smallest cutter and cut out a shape in the middle of each cookie. Place in refrigerator and chill. Repeat this process until you have equal amount of tops and bottoms. Bake cookies 8 to 10 minutes, until edges begin to turn brown. After 5 minutes; transfer to rack let completely cool. Place the cookies with holes in them together and sift confectioner’s sugar on top of them. Turn the bottoms flat side up and spoon ½ teaspoon of jam in the center, spreading slightly. Place top on. Take time to enjoy the holidays! Cookies look lovely and so does those wooden boxes. Hi Haddock, the box was a nice surprise. Thanks for stopping by. a great idea ro give a treat to help a wonderful charity for kids . Thanks Nee, you should join the group next year. It's a lot of fun too! you made my mouth water this morning! Thanks Theresa! Happy Holidays to you! The cookie swap sounds like fun. Double fun, really. First you get to decide what to bake and send. Then you get to wait and see what you get! :-) Excellent choice of cookie on your part -- I'll bet everyone was delighted to receive them. That's exactly it, thanks so much John. Such a beautiful cookie and great cause as well! How wonderful. all those delicious cookies. What fun!! Thanks Suzanne, what a wonderful foundation. I love Linzer cookies and yours look soooo delish. Great job Cheri! 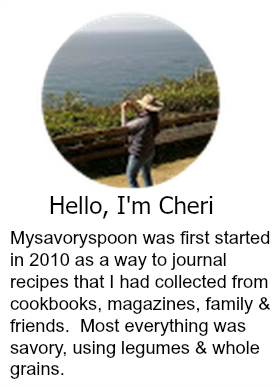 Your Linzers look lovely, Cheri! It appears the rewards of this exchange were great in many ways <3 Bravo to you and the other bloggers! Hi Kim, you are so right, the rewards outnumber everything else.Happy holidays to you! Nice thoughts...really we all should help needy people..then the Earth will be more beautiful. Cookies are really so nice and delicious like all urs dishes. I agree Moumita, the earth would be more beautiful, just have to get everyone else on board, sounds so simple. What a neat thing to participate in, Cheri! I love the cookies you chose. They are so beautiful! I have never made that kind before. How does the money get raised? Do you have to pay to participate? I would love to do that next year. Thanks for sharing your recipe! They look delicious. What a great idea to do a cookie swap too. I might have to do something like that next year. Hi Tandy, hope you have a chance, Happy holidays!! Such a great idea and for such a good cause. Your cookie gifts look delicious and I'm not surprised your hubby gobbled up Meggan's delicious treats, lol. Merry Christmas, Cheri! Hi Robyn, lol, yes you saw what I had scrapped together after the cookies had a few minutes alone with my husband. Happy holidays! I am so glad these cookies turned out! I have always wanted to participate but I am so bad at shipping! Honest truth! These all look so good! Hi Abbe, it was so much fun waiting for the cookies to arrive in the mail, totally worth it. I keep seeing linzer and wishing I'd tried making some this year. I have to look into this cookie swap...I keep to say this at this late date in December all the time though! Lovely to see all these great cookies! Thanks Vidya, you never know you might like this. The cookie swap sounds like it is a lot of fun and goes for a great cause. Your Linzer cookies look wonderful and it looks like you received some yummy cookies in return. Hi Dawn, yes, it was a great experience, cannot wait until next year. How cool! And I love all of your cookies. What fun, Cheri! Love Linzer cookies. And such a clever idea for her to mail her cookies in the wooden box. Thanks Barbara, fun thing to do. Happy holidays! Such a fun tradition! Like others, I love that wood box too. What a fun exchange! And so sorry your husband got almost all the pizzelle! Hi David, I know that little devil, his mom usually sends us some every year but she is 96 now and is having a hard time seeing, not well enough to bake. She is amazing. Happy holidays!! What a nice idea and good cause, Cheri! Your linzers look wonderful. Merry Christmas to you! That's awesome that you participated in this years' cookie exchange and your cookies look amazing! Dear Cheri, sounds like an absolutely wonderful event - love cookies and your post and surprises and all!!! What a fabulous cause - it must have been so much fun to particpate! I just made some tea so a cookie would be wonderful. Any Linzers left? Love Linzer cookies and this wonderful cause. I participated once but can't seem to get my act together to do it again. Looks like you got some great cookies from thoughtful bloggers. Have a very Merry Christmas! How fun is this?! This is such a great thing to do. Such gorgeous cookies you sent (and received!). I love this event. Hope you had a marvelous Christmas!! !